The Jaguar C-X17 has beaten all the automobiles to get award for the best Concept Vehicle Interior Design at Automotive Interiors Expo 2014 Awards. Jaguar Design Director Ian Callum was very happy on the occasion and said that he was delighted to see C-X17 winning the award as they worked hard to ensure the cabin looks innovative, hi-tech and luxurious. The Judging panel consisting of world’s leading automotive journalists praised the design considering it a fusion of interactive technology and traditional premium craftsmanship. 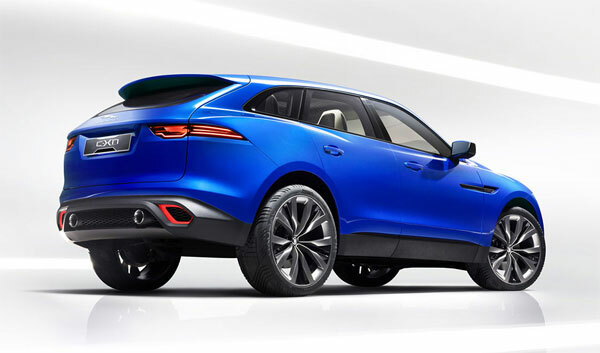 The rear wheel drive C-X17 is Jaguar’s first sports crossover concept and was first revealed to the world at Frankfurt, Germany on 10th September 2013 in Caesium Blue, Liquid Aluminium and Liquid Gold colors. Jaguar has planned to sell the first production Jaguar based on C-X17’s all-new architecture in 2015. The Automotive Interiors Expo 2015 is set to take place in Stuttgart, Germany on 16-18 of June 2015.